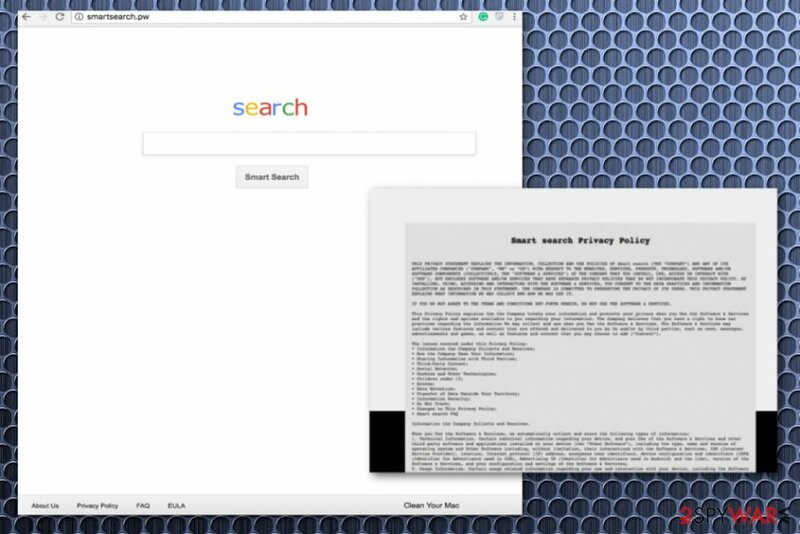 Smartsearch.pw is the PUP that uses misleading techniques to prevent removal. Use Reimage to locate malicious components and get rid of them faster than with uninstall instructions. A full system scan blocks virus reappearance and prevents traffic to malicious domains. Smartsearch.pw is a fake search engine that tracks data to set personalized ads to its victim. Smartsearch.pw is a browsing hijacker that can also be called as Smart Search. 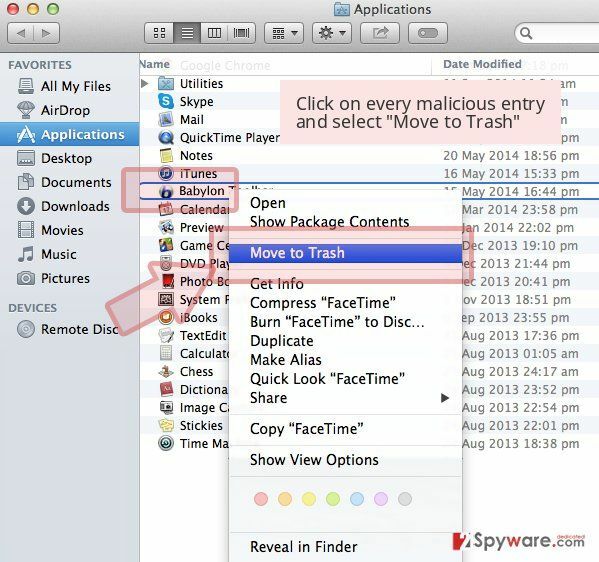 This hijacker can easily infect the system without user's notice and start promoting an infamous Mac OS X cleaner called MacKeeper. If you have ever tried it, you should know that this PUP displays numerous notifications on its victim's computer desktop that are all set to see its license. However, the program's effectiveness is doubtful, just like the ability of Smartsearch.pw virus to improve users' search sessions. No matter how actively this site tries to remind Google or other legitimate search engines, it provides only sponsored search results. In addition, after clicking these results, you can find yourself on highly suspicious websites. The search provider typically comes to your system without your knowledge or permission. This means that you are not aware of its presence unless you notice its activity on the screen, browser or general sluggishness of your computer. Because of this fact, people tend to call this program a Smartsearch.pw virus. to comply and satisfy any applicable law regulation, legal process or enforceable governmental request. Unfortunately, the customized commercial content after the hijack is also known as targeted advertising. In other terms, the contrivers generate pay-per-click or pay-per-install revenue from the ads you click on. Keep in mind that some advertisements might look legitimate while actually hide malicious scripts inside. Thus, consider uninstalling Smartsearch.pw. You need to remove Smartsearch.pw if you want to be safe while surfing the web. According to researchers, the best solution for the virus termination and cleaning your system are anti-malware tools like Reimage. It is advisable to use certified programs so you can rely on them. Smartsearch.pw is a potentially unwanted program that causes browser redirects and MacKeeper ads. It is known that people tend to rush through some processes on their PC, including installations. Freeware providers and potentially unwanted program creators are aware of this fact. This is where they can employ the marketing technique called bundling. It is the process when software, tools or products are packed with PUPs and other potentially dangerous files. When you are getting your updates or software from non-legitimate sources, you can get additional pieces that you don't want. This means that choosing Default or Quick options during installation allows all additional pieces to get on your system and you are not aware of this when you rush through. The best solution here is Advanced or Custom options. These settings allow you to see all programs that are installed on your PC and gives you an ability to de-select programs you do not want to get. To remove Smartsearch.pwfrom the system, you should use anti-malware tools. This is advisable because these programs can remove all pieces related to browser hijackers or other PUPs. Also, anti-malware can be a good addition to your anti-virus software because of the feature that allows to detect, remove and block malware, including the components of browser hijacker. 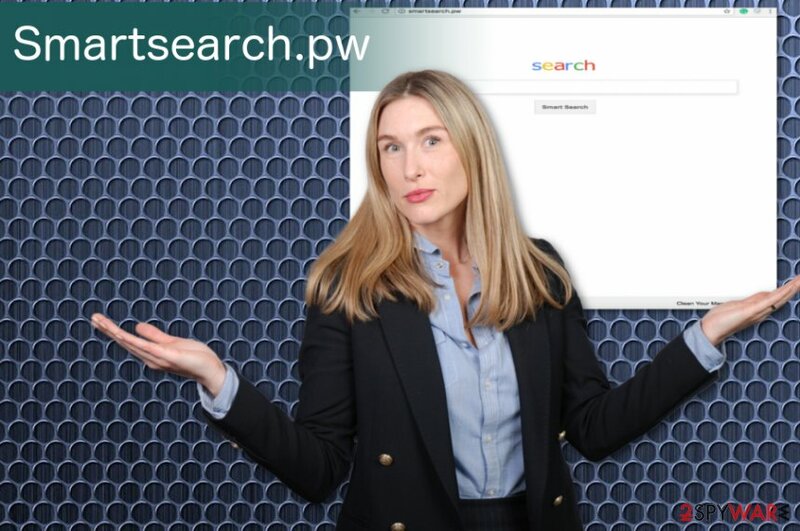 Smartsearch.pw removal requires attention because programs that come with other programs can hide in various places and work behind your back. So manual termination is not very helpful and time-consuming. We have a few suggestions of reputable anti-malware programs. Also, if you scroll down, you can find a step-by-step guide that helps to go through the whole virus elimination quickly and get rid of Smartsearch.pw. 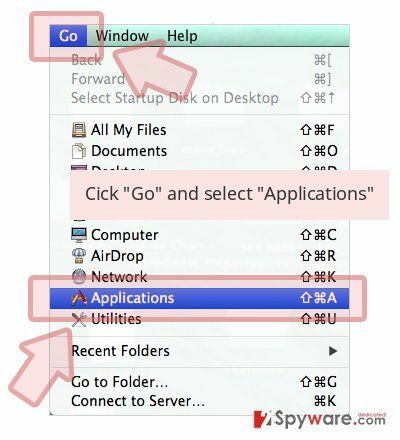 Wait until you see Applications folder and look for Smartsearch.pw or any other suspicious programs on it. Now right click on every of such entries and select Move to Trash. When in the new window, check Delete personal settings and select Reset again to complete Smartsearch.pw removal. Here, select Smartsearch.pw and other questionable plugins. Click Remove to delete these entries. Now you will see Reset Firefox to its default state message with Reset Firefox button. Click this button for several times and complete Smartsearch.pw removal. Here, select Smartsearch.pw and other malicious plugins and select trash icon to delete these entries. Click Reset to confirm this action and complete Smartsearch.pw removal. Here, select Extensions and look for Smartsearch.pw or other suspicious entries. Click on the Uninstall button to get rid each of them. Here, look at the Homepage field. If it was altered by Smartsearch.pw, remove unwanted link and enter the one that you want to use for your searches. Remember to include the "http://" before typing in the address of the page. Now you will see a detailed dialog window filled with reset options. All of those options are usually checked, but you can specify which of them you want to reset. Click the Reset button to complete Smartsearch.pw removal process. ^ Mike Matthews. What MacKeeper is and why you should remove it from your Mac. iMore. Latest iPhone, iPad, Apple news, deals, reviews, news, and how-tos. ^ CPU time and usage. Wikipedia. The free encyclopedia. This entry was posted on 2018-08-02 at 03:32 and is filed under Stealing programs, Viruses. You can quickly scan the QR code with your mobile device and have Smartsearch.pw manual removal instructions right in your pocket. How did you remove Smartsearch.pw?